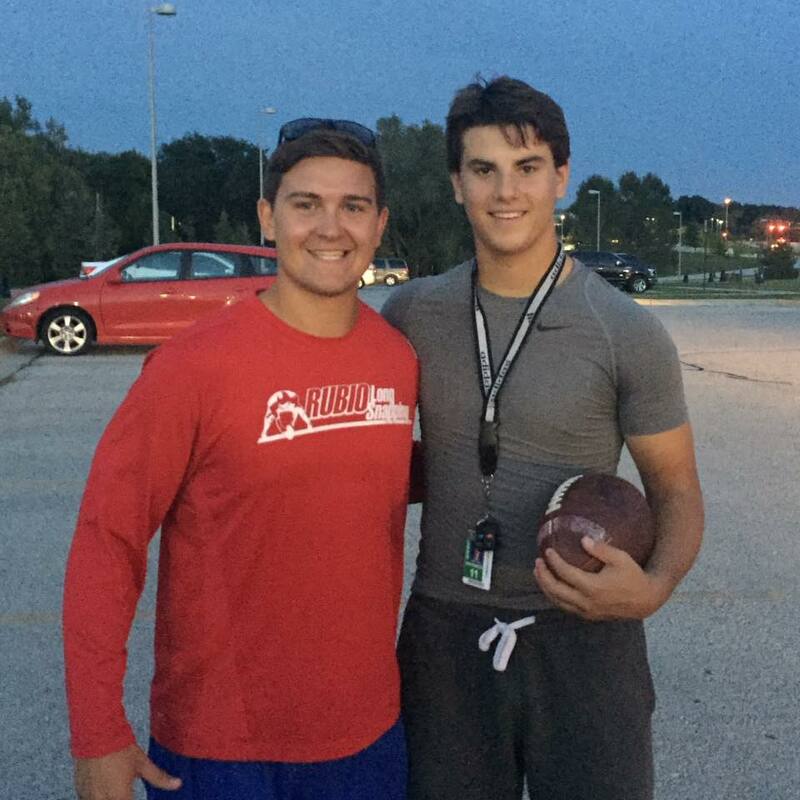 Left: Rubio Long Snapping Instructor, Gabe Miller holds private lessons and groups sessions in Lincoln, Nebraska. Football season is underway and the first Rubio Long Snapping FALL camp is this weekend in Chicago! Now is the time to take advantage of any instructors in your area. The list is constantly growing and changes are posted each week. 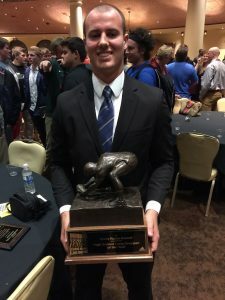 Filed Under: Athletics, Football, High School, Lessons, Long Snapper Tagged With: Aaron Golub, Alan Lucy, Albuquerque, Arkansas, Atlanta, Baton Rouge, Bay Area, Blake Ferguson, Brendan Lopez, California, Carson Vey, Casey Hales, Chris Roberson, Colorado, Corey Adams, Dallas Fort Worth, Danny Lamontagne, Derrick Lopez, Exposure, Florida, Gabe Miller, Georgia, Greenville, Harrison Elliott, Houston, Illinois, Indiana, Jason Bertoni, Jeff Abraham, John Finch, Jonesboro, Josh Appel, Kansas, Kansas City, Kevin Ballinger, Laguna Hills, Las Vegas, Lessons, Louisiana, Maryland, Matt FOley, Matt Fortin, Matt Wigley, Missouri, Nebraska, New Jersey, New Mexico, New Orleans, Nick Monaghan Columbia, Nolan Owen, North Carolina, Pennsylvania, Philadelphia, Provo, Rubio long snapping, Ryan Eustace, Ryan Farr, Ryan Simmons, San Diego, Santa Monica, Seattle, South Carolina, Steven Romero, Tanner Gibas, Tennessee, Terre Haute, Texas, training, Tyler Griffiths, Utah, Virginia, Washington D.C. The rankings are completed for ALL 2017 Long Snappers and Future Stars that participated in the Rubio Long Snapping Summer Camp in GA.
Next ranking opportunity in GA will be on November 23 and at VEGAS XXV. The rankings are completed for ALL Long Snappers that participated in the Rubio Long Snapping Camp in GA on March 2, 2014. The GA Camp never disappoints as they are solid from top to bottom. It’s almost like a mini-Vegas the talent is so strong. For the rankings, simply go the NEW RubioLongSnapping.com, rollover PLAYER RANKINGS, rollover which CLASS you are looking for, click that CLASS, click LONG SNAPPERS and find your name. Here is an article that I had published in the Lewiston Tribune on June 5, 2013 that I thought everyone might like to check out. Enjoy! Imagine an extremely large city. A city bustling with restaurants, entertainment and sporting events. This city has hundreds of high schools, countless students, tons of possibilities. People are everywhere and there is always something to do. Throughout the year, the city’s population continuously huddles and rallies to support its local teams and, in correlation, the student bodies. The cheering just depends on the season. In the fall, it’s football. In the winter, it’s wrestling and basketball. In the spring, it’s baseball, softball, track and golf. Even one of the colleges in the city has a festival of sorts for a spring time sport. The massive metropolis embraces it all. The restaurants in the city work together to support the young athletes. To increase attendance at the games, the restaurants in proximity to the school playing offer discounts if a customer brings in a ticket stub from the game they just attended. During the week of the game, the restaurant may even have highlights from the previous game playing on its waiting room TV. This is simple to do since the nearby high school’s media class supplies the tape to the restaurants. They work together for one common goal. Not to be outdone, the school’s events offer a discount to anyone who shows a receipt from the collaborating restaurant(s) from the day of the game. They work together for one common goal. Games, no matter the sport, become events for each and every family in the large city. Everyone is working together to build spirit and pride in the youth. They, the adults, know that the next generation will be better off with support from all generations and, in turn, it will trickle down to even the younger generations. The more the adults show the students they are behind them, the more the students want to give the adults something to support. It is one big, fantastic cycle. Schools support the restaurants, the restaurants support the schools. Even the local high school coaches go down to help out or just be seen at the elementary and junior high practices. The youngest kids love this and so do the parents. It shows the coaches truly care and it only takes a couple of minutes of their day. Everyone is helping one another in this immense city. As hard as it is, they all work together. Now, imagine the city is smaller … much smaller. Instead of hundreds of high schools, thousands and thousands of students and countless restaurants, there are just a handful of high schools, a mere couple of thousand students and a spattering of restaurants. Imagine a community like ours. With a much smaller number of schools, students and businesses, it would be much easier for everyone to work together to put overflowing pride back into the community, the schools and, most importantly, the children. But you don’t even have to imagine. This is happening in communities all across the country. Why aren’t we doing it here? Player – Coach, are you recruiting anyone else at my position? This is a great question but more likely than not, the coach will lie to you and say no one else. And, they have no reason to tell you. Think about it, would you be completely honest with a girl if you asked her to prom and she asked if there was anyone else you were considering asking? Didn’t think so. Player – Coach, if I am preferred walk-on, when exactly will I report to camp, does this include my admission to school and when exactly when will I be put on scholarship? Major questions to ask and you definitely need to find out the answers. You want to be brought in asap and if you aren’t, you need to find out why. Most likely they have another guy they didn’t tell you about and this could be an issue moving forward. Next, you want to make sure it is very clear when you will be put on scholarship. Is it going to be right after your first start? Is it going to be a semester after your first start? Is it going to be when the senior graduates? Is it going to be one year after you start? Use the word exactly and find out the specifics with the coach. Don’t let them fluff an answer. Player – Coach, will you be there all four/five years I am in school? The coach will answer YES but there is no way he is being completely honest with you. If something better coaching wise comes up, they are gone (and they should be…this is their job and their livelihood). Remember, never, ever choose a college based on the coach. In this day and age of the NFL player salaries have increased drastically and the guaranteed amounts have as well. For this past 2012 season the Rookie NFL minimum salary was $390,000. Long Snappers are no exception. Jon Condo of the Oakland Raiders is the highest paid Long Snapper in the NFL at a base salary of $1,200,000 per year. The list goes on with the top ten highest paid Long Snappers all making over $500,000 per year. Former Rubio Long Snapper and current Houston Texan Jon Weeks made $540,000 in 2012. With the average length of career for Long Snappers being much higher than your average player, Long Snappers stand to earn a healthy living for many years. Obviously training, precision and health play a major role in long term careers. 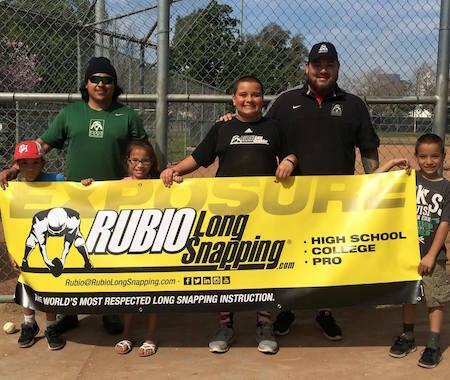 Rubio Long Snapping places many Long Snappers in the NFL and is the key to helping them create these long term careers. Last weekend, January 19-20, in Las Vegas, the largest Long Snapping Event took place in the world. Saturday was filled with the best instruction with a 3 to 1 ratio of Long Snappers to instructors and Sunday was filled with competition. 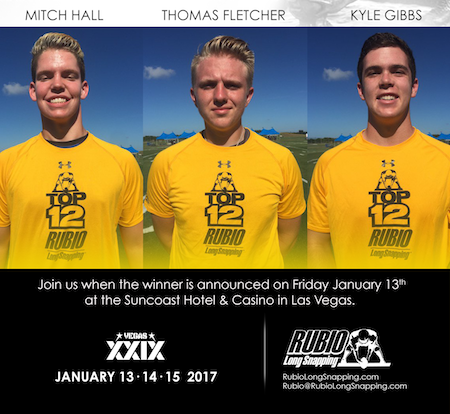 Long Snappers tested on The Rubio Target, ran 40 yard dashes, were filmed for YouTube, timed by Rubio and did live punts/pats. The weekend was a smashing success, yet again, as the reviews keep coming in from all over the world. The winner of Event was Cole Mazza (CA. ’13)! To say Mazza was dominant throughout the whole weekend would be a tragic understatement. He was beyond impressive all when you saw him in person and, even more so, when you look at the stats. The spring schedule for Rubio Long Snapping is already up and summer camps will be posted soon. Be sure to follow on Twitter and Facebook for updates. 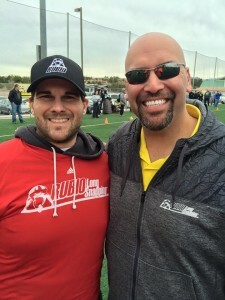 ALL of the YouTube videos are up for the Long Snappers from the 11th Annual Event in Las Vegas. To view them, simply go the Rubio Long Snapping YouTube channel and type in the Long Snapper’s name you’d like to embrace. That should give you a list of that Long Snapper’s videos that he has done with me. If you are still having troubles, type in “Rubio Long Snapping, Name of Long Snapper, 11th Annual Event” and this should do it. Anytime you go to a Rubio Long Snapping camp, you get another YouTube video made for you. All of these videos will be posted on your profile within two more weeks. Yes, you can use these videos for your own recruiting purposes and you should as it shows credibility from me and not some Average Joe making it. In the past, I have described to you what it takes to be a great Long Snapper. When you combine all of those factors, you create the ultimate Long Snapper….you create the 5 Star Rubio Long Snapper. 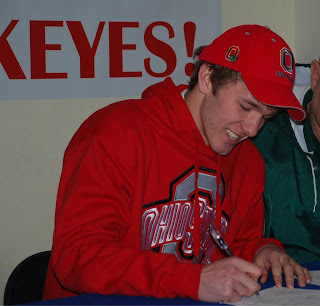 Please notice, I didn’t just write a 5 Star Long Snapper. I wrote a 5 Star Rubio Long Snapper. There is a difference. The term/prize/accomplishment of 5 stars is thrown around a bit too much, and too easily, these days. It has become almost like a standing ovation at an awards show or an encore at a concert, it has become expected. And, when something is expected, it is shocking when it doesn’t happen. People can’t grasp the concept that such a high honor is not something that is just given, it is earned. It takes a great amount of skill, work and dedication. One of the biggest “complaints” I receive from parents and Long Snappers is that they don’t understand how their child/them is NOT a 5 Star for me if someone else has them as such. Simple, they just aren’t a 5 Star Long Snapper…yet. My rankings are my rankings. I do them myself. I take great pride in them. I travel to all my own camps and see everything. I don’t rank off a Target, charting or some sort of made up mathematical formula. I know what it takes to snap at the next level and I know what the college and pro coaches want in a Long Snapper. There is a reason my top Long Snappers are always with the top programs. I see the most Long Snappers in the country…by far. Therefore, being a 5 Star Rubio Long Snapper is an actual accomplishment. A 5 Star Rubio Long Snapper combines all of the aspects that make up a great Long Snapper (you better know them by now) with the fact, that in my eyes, you could play a college game tonight…let alone in a year or two. Being a 5 Star Rubio Long Snapper is something to take pride in. You have put in the right work and accomplished a real goal. It was not handed to you and it was out of real field of athletes. 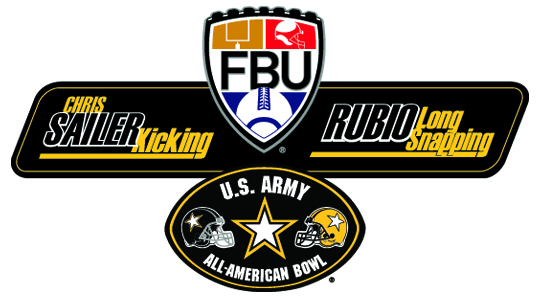 Will you be the next 5 Star Rubio Long Snapper, a true and real accomplishment. Long time Rubio Long Snapper Jeff Palmer will be setting a record for the University of Oregon tonight in the Fiesta Bowl, as he plays in his 52nd game for the Ducks! That stat alone is simply amazing, but when you combine it with the fact that Palmer is 5’10” and 190 lbs, it is down right astonishing. Palmer is someone who many, except for yours truly, thought was simply too small to play at the next level. Not only has he played, he has set a record for most games played at Oregon, and if I am not mistaken, he might have the most plays in NCAA history since he has been on countless pats for the Ducks. As you know, Oregon tends to score pretty darn quickly and the guy who has been snapping all of the extra points for the last four years is……..Jeff Palmer. 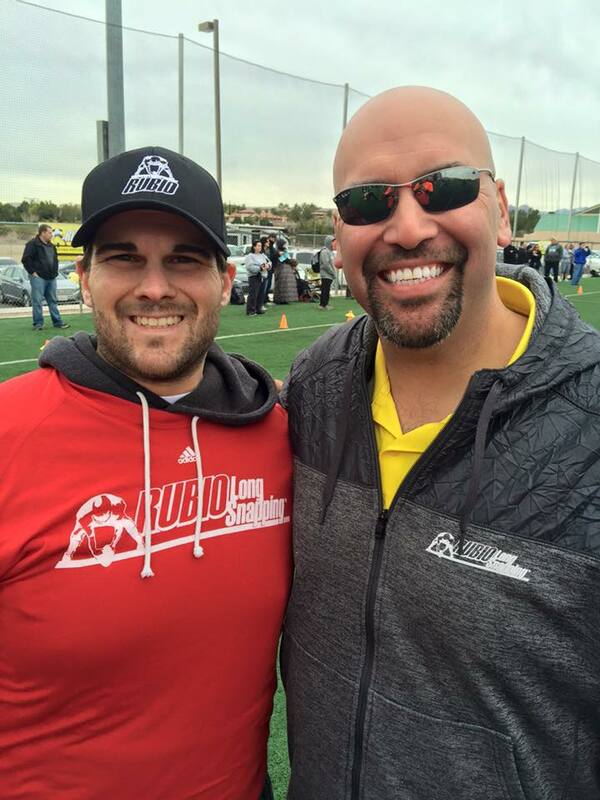 Palmer has been with Rubio Long Snapping since 2005. He was, and continues to be, one of the best athletes the Long Snapping world has ever seen as you can see below….. I am very proud of all that Palmer has done and will continue to do with his life. If you ever get to meet him, you will understand how fantastic he truly is. Here is your official guide to embracing Rubio Long Snappers in this season’s college football bowl games. Enjoy…. 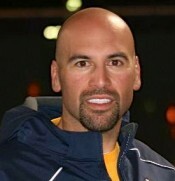 Rubio Long Snapper Jeff Overbaugh of San Diego St in the finals in Vegas! S.D. County Credit Union Poinsettia Bowl – Jeff Overbaugh and Brandon Koletsky of San Diego St.
MAACO Las Vegas Bowl – Ryan Masel of Washington vs Chris Roberson and Kevin Keane of Boise St.
Kraft Fight Hunger Bowl – Joe Cardona and Josh Antol of Navy vs Easton Wahlstrom of Arizona St.
Valero Alamo Bowl – Kyle Ashby of Texas vs Michael Morovick and Harrison Linsky of Oregon St.
Buffalo Wild Wings Bowl – Taybor Pepper or Michigan St. Discover Orange Bowl– Dax Dellenbach and Philip Doumar of Florida St.
Tostitos Fiesta Bowl – Drew Howell and Jeff Palmer of Oregon vs Dalton Converse of Kansas St.
GoDaddy.com Bowl – Cade Oliver and Ryan Eustace of Arkansas St.
BE Quiet – You should be extremely proud of all that you accomplished in high school, but remember just that…it was in high school. If you are lucky enough to play a college sport, you will be surrounded by All-Americans. Get over yourself and keep what you did in the past, in the past. Strive for new accomplishments and dominate. BE on Time – You should always be at least fifteen minutes early to everything. Be late once and a coach will never, ever forget it. My motto is if you can’t be on time, be early. BE Responsible – You should know that you are now officially a role model and many people are looking up to you and will want to emulate you. Whether it be the child that wants to be you or the parent that wants their child to be like you, you have a major responsibility to not let them down. Think before you do anything (Twitter, Facebook, Instagram). One slip up can hurt you for the rest of your life. BE Nice – Whether it’s to the equipment guy, kids wanting an autograph, your parents, your tutors or academic advisor, you need to be nice. There is no doubt that all those involved in your life will speak to one another and if you are rude to one, they will all know and begin to look at you in a different light. BE Assertive – It is very common for the upperclassmen to try and pick on you. It is what they do so get over it. They are simply testing you to see if you belong on “their” team. Advice: stick up for yourself but don’t start anything. IF, and the key word is if, someone at practice attempts to push you around, push them back. Don’t take any crap or you will immediately be know as someone with no backbone that they (the team) won’t be able to rely on in a time of need. I repeat, stick up for yourself but don’t start anything. BE Willing and Able to Adapt – When you go off to college, that is your new home. Accept and embrace it. Know that you are making a change and go in with an open mind. It is a new stage in your life and you need to go into it with wide open arms and not continuously talk about, think about or want to be home. If you are obsessing about the past, you can’t live in the present and make your future.